My name is Mackenzie High. I graduated from George Mason University in the Spring of 2015. Autumn - A new programming language for the JVM. Cascade - An extremely lightweight actor framework for Java. Sexpr - An s-expression framework for the creation of Domain Specific Languages. Snowflake - A graphical parser generator based on Parsing Expression Grammars. 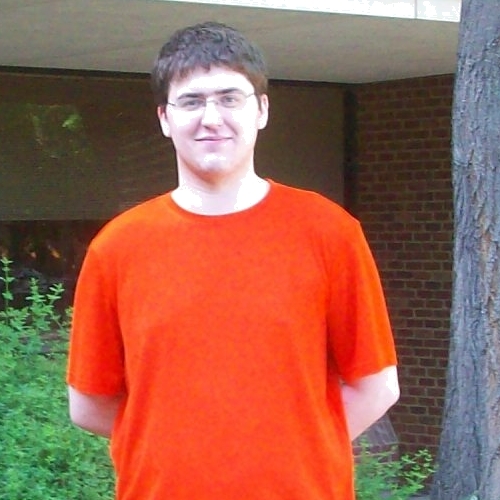 College: George Mason University - Click here to see the courses that I have already completed. 5 - I have particularly in-depth knowledge of this technology. 4 - I use this technology on a regular basis. 3 - I use this technology on a semiregular basis. 2 - I use this technology on an irregular basis. 1 - I have used this technology for something, such as a school project. * - I formerly used this technology, but have switched to another technology.